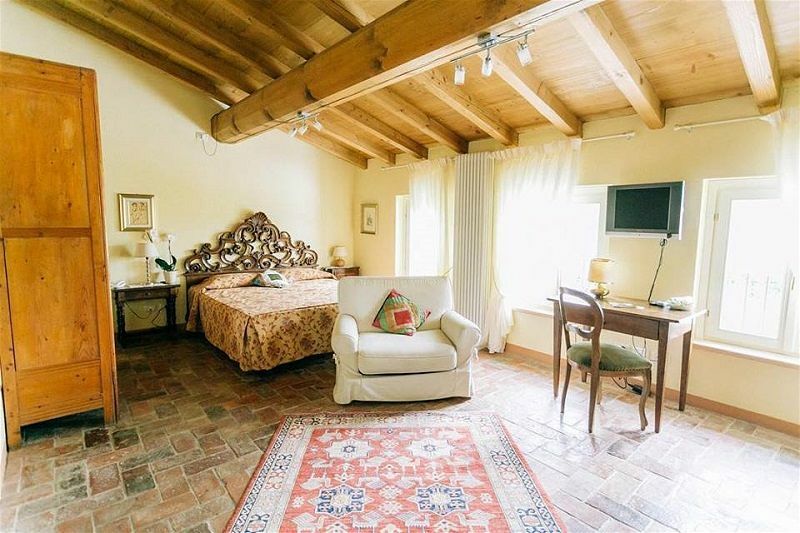 Delo Relais enjoys the charm and elegance of an independently run boutique hotel or a refined country retreat, thanks to the well thought out room planning, customised furniture, cultural atmosphere and the warm welcome. 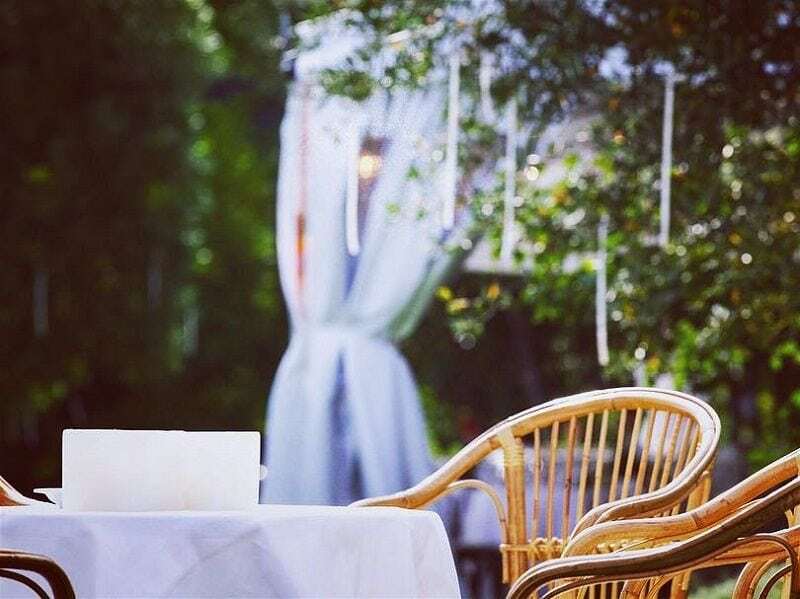 The inherent luxury and sophistication of Delo Relais is tempered by the simplicity and tranquillising beauty of its magnificent natural setting. 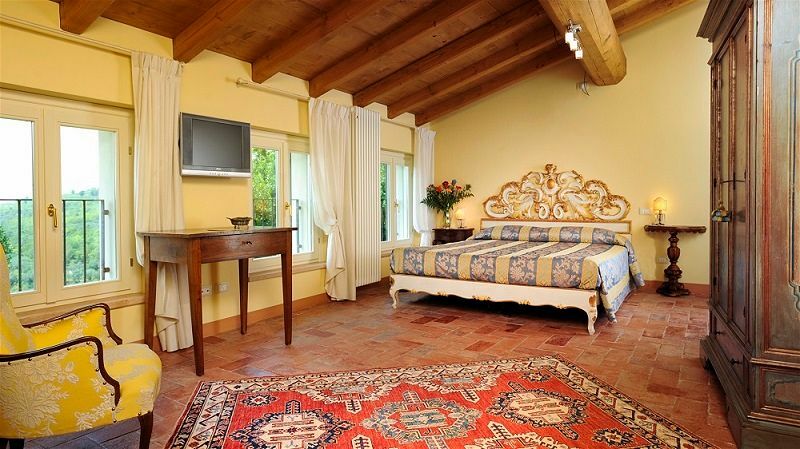 Words alone cannot begin to describe the harmony and beauty of Delo Relais. 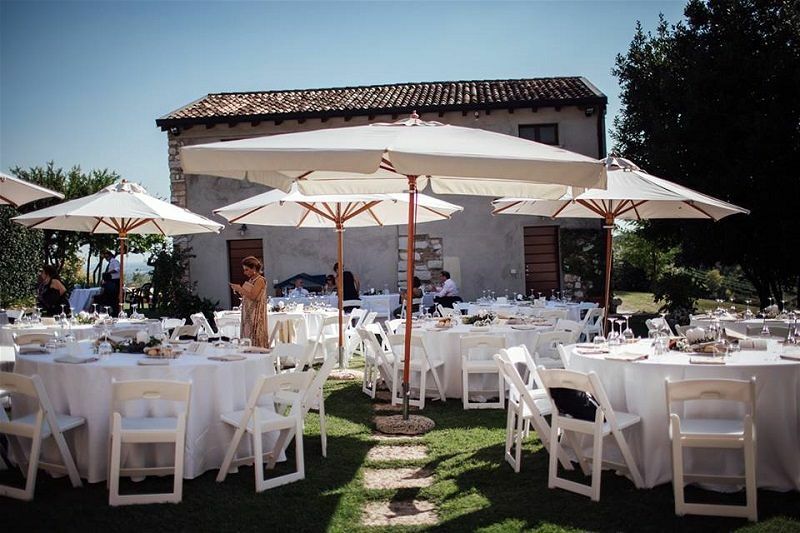 Located only 10km from Verona and one hour from Venice makes it an ideal venue for those who wish to have a wedding within easy reach of of Northern Italy’s popular tourist destinations. 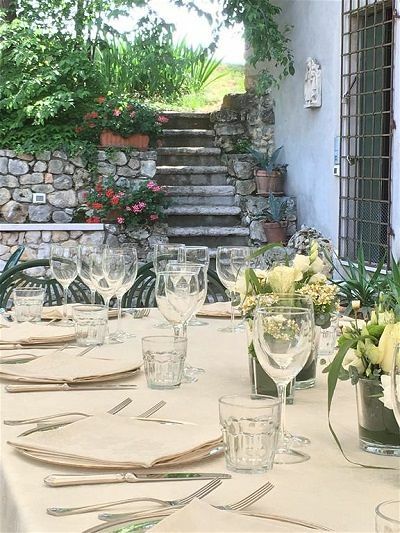 Aside from the elegant accommodation, fantastic food and gorgeous surroundings, what really makes this wedding venue in Verona incredibly special are the owners who go above and beyond to ensure you have an amazing destination wedding in Italy. 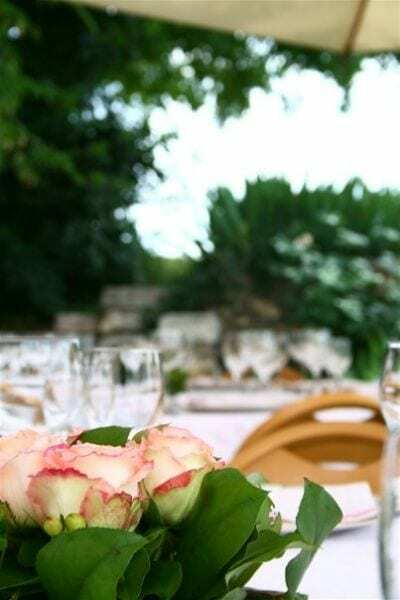 With their in-house wedding planner, Delo Relais can take care of all the preparations for your big day, with as much or as little involvement from you as you would like. A spacious lawn separates the buildings in the courtyard. 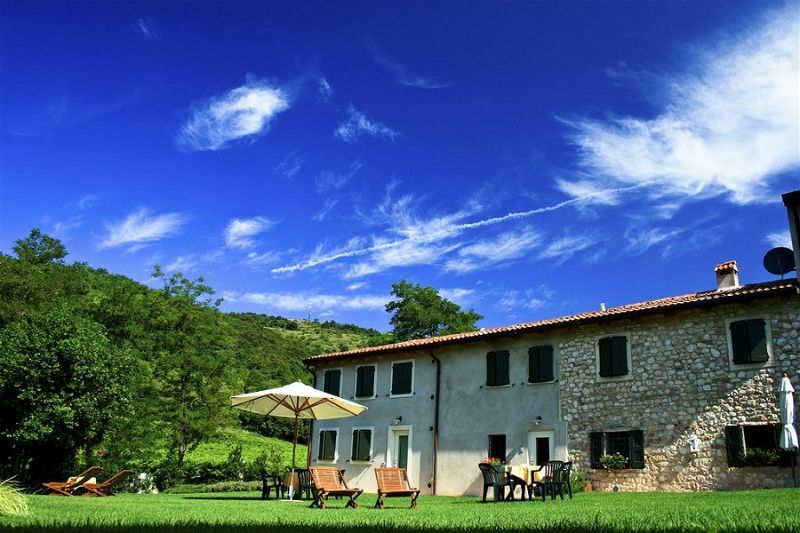 To the south, a natural stepped park with centuries-old olive grove, oak and maple trees. 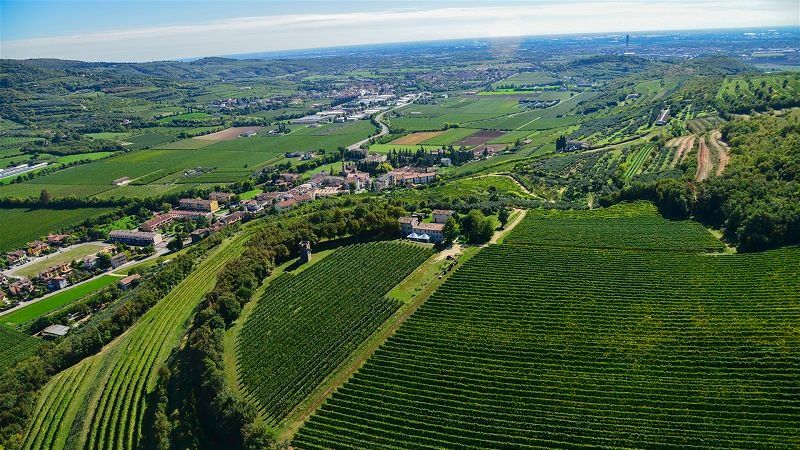 To the north are the Valpolicella vineyards, dominated by the dramatic and windswept beauty of the Squaranto Valley up to the top of Mount Carega. 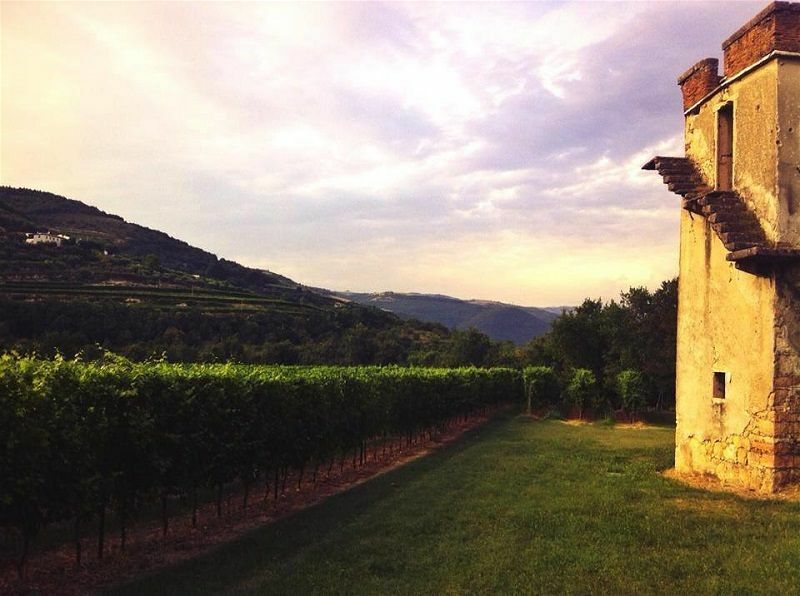 And the medieval tower at the heart of Delo Relais is strategically positioned to watch out for invaders coming up the valley. 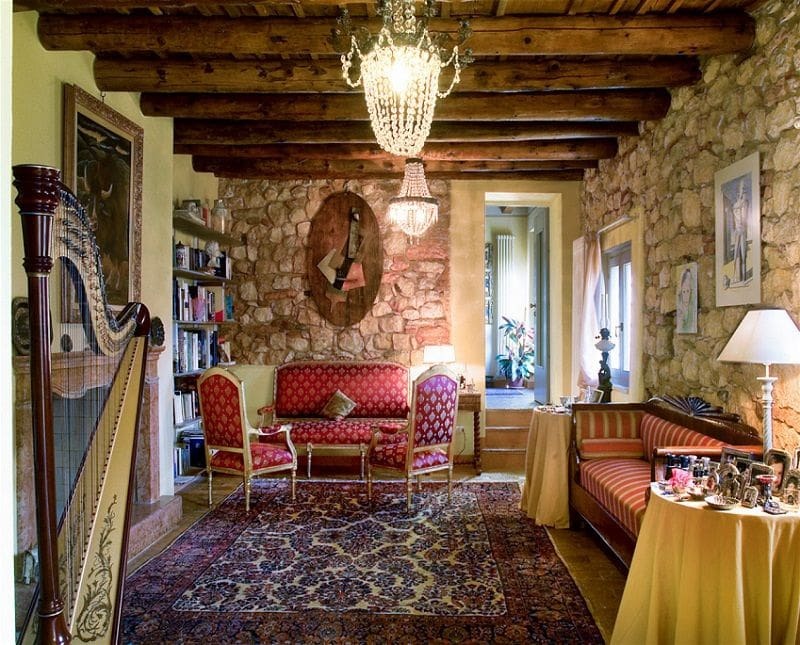 Each room is unique and has been loving restored. 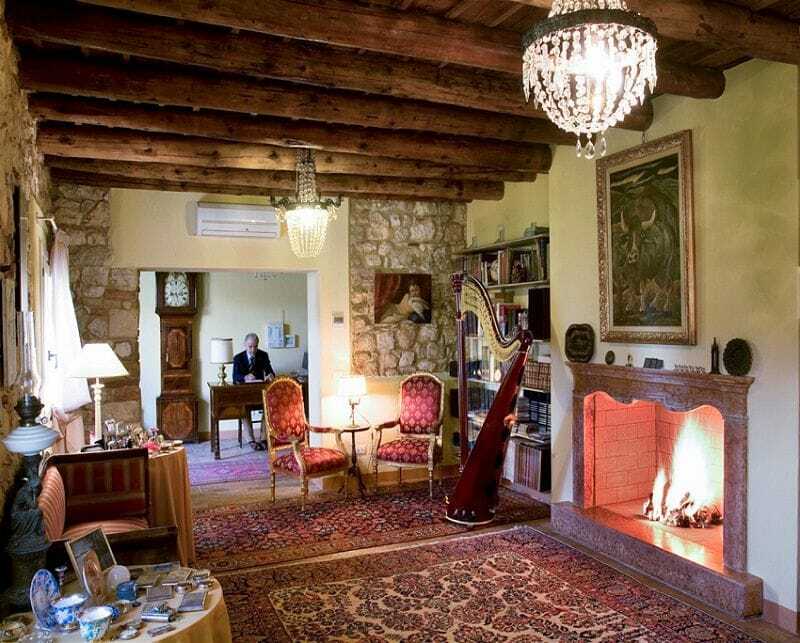 The restoration of old ceilings, the laying of floors in antique terracotta tiles and the use of authentic 18th Century furniture and carpets create an atmosphere of warmth and refinement. 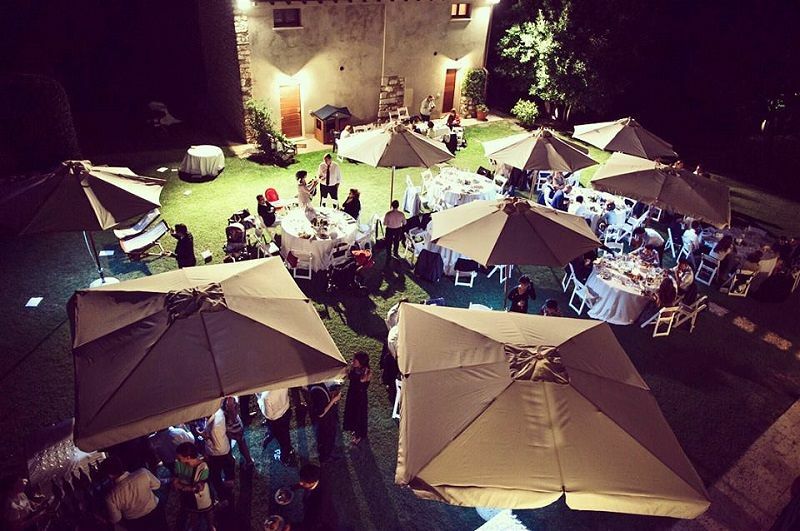 “I just came back from cousins wedding and the stay in Delo was amazing! 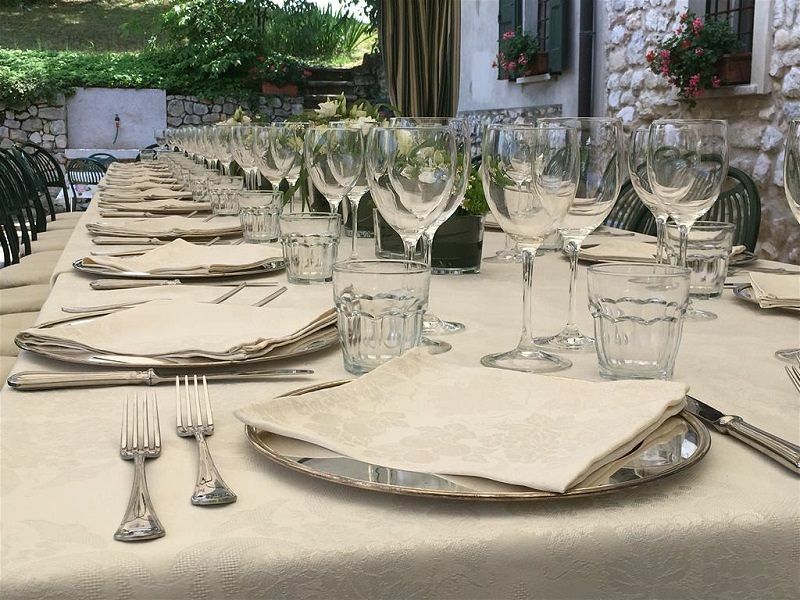 Ettore – the host is very friendly and treated us like family, he was also very helpful when it came for example to picking restaurants. His wife Antonia cooked unbelievably delicious food for the wedding and I will never forget it. The people working there were also very nice and helpful. I came there with my dog – a small Yorkshire Terrier with whom the hosts fell in love and it was nice to watch him play with the dogs that live there. 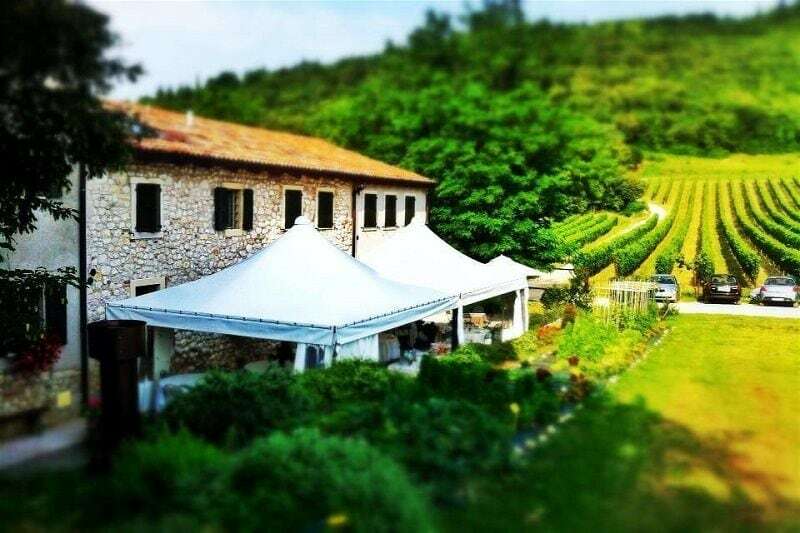 To read more testimonials about this venue, please visit the Facebook review page for Delo Relais. 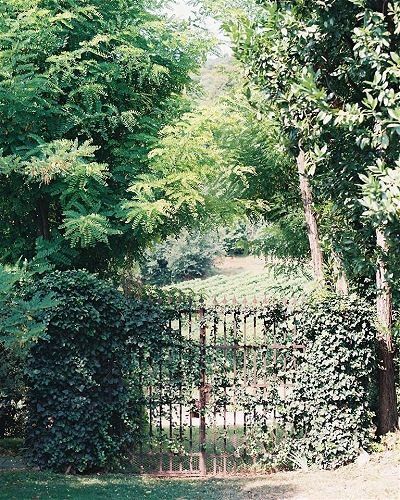 No noise or air pollution … You can hear only the sounds of nature and the music of the wind when it crosses the trees of our estate; it enters your soul and makes you feel completely regenerated. 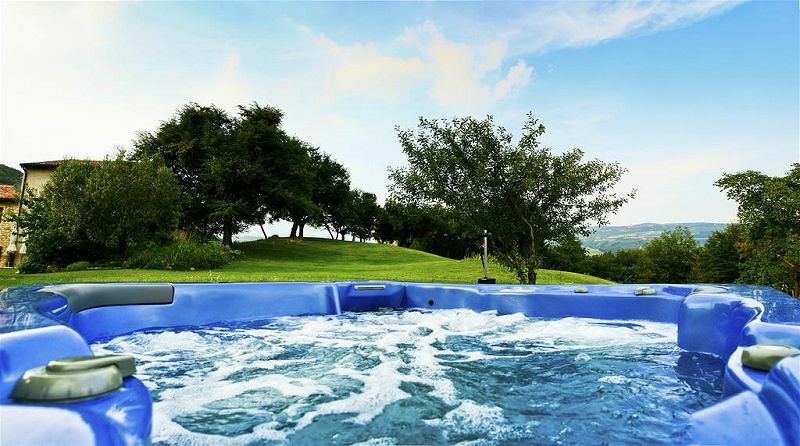 Make sure you relax in our Hydrospa panoramic Jacuzzi, our botanic garden with Mediterranean trees and enjoy our natural Nordic walking park. 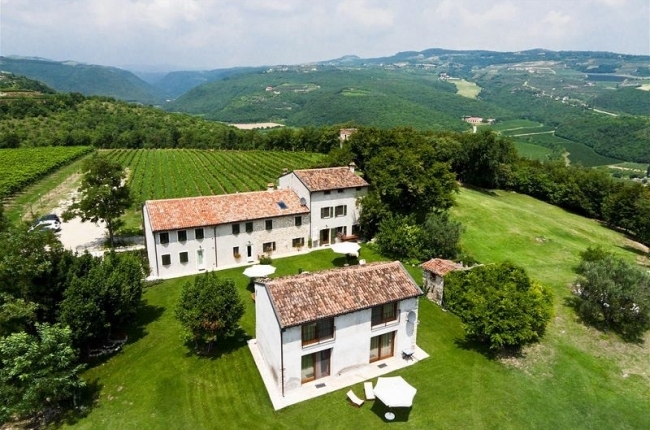 Delo Relais is a beautifully restored country house perched on the hills above Verona. 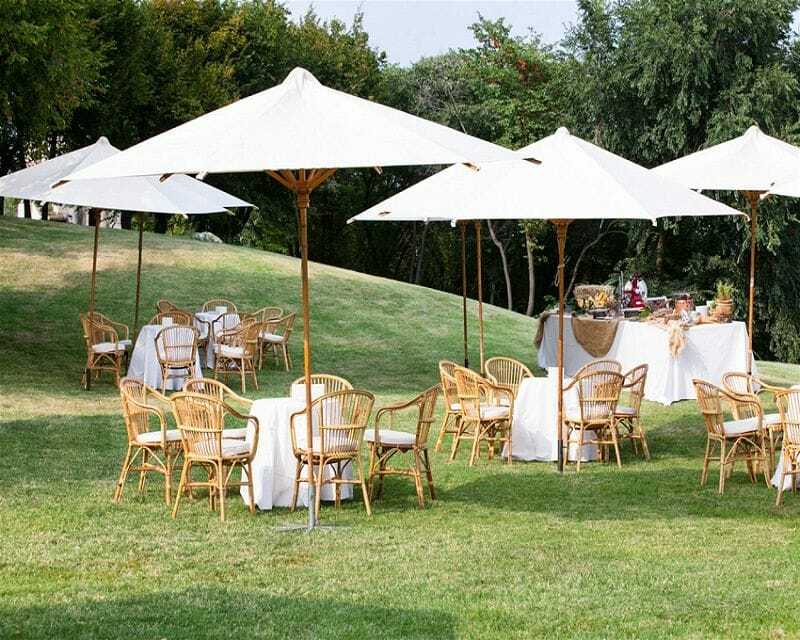 Available for exclusive use, the venue specialises in intimate and smaller destination weddings for up to 50 guests. 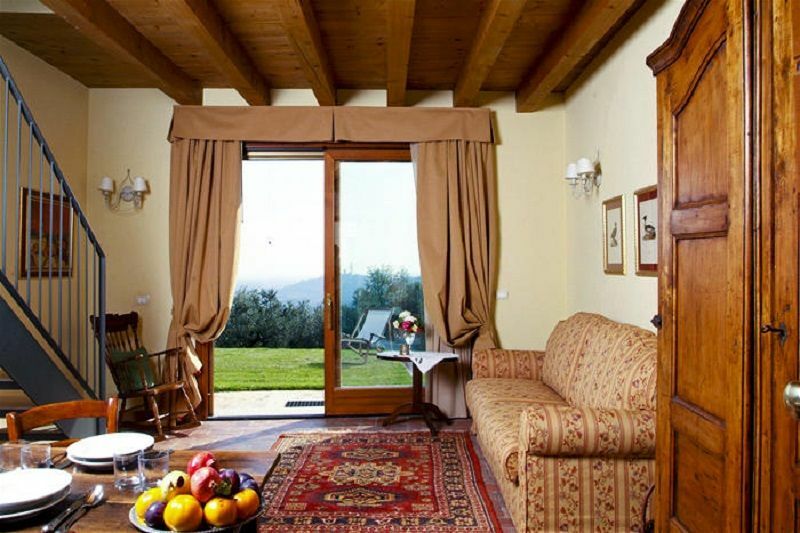 With breathtaking views over its vineyards, olive groves and the scenic Squaranto Valley, its location is perfect for those who wish to be immersed in nature yet are only a stones throw from the city.